Hollis Johnson/Business InsiderTesla Model 3. Tesla said vehicle deposits decreased slightly during the third quarter to $US906 million. The automaker received $US942 million in deposits during the second quarter and $US984 million during the first quarter. Despite the decrease in deposits, Tesla beat Wall Street expectations by posting adjusted earnings of $US2.90 per share on $US6.8 billion in revenue. Tesla said vehicle deposits decreased slightly during the third quarter to $US906 million. The automaker received $US942 million in deposits during the second quarter and $US984 million during the first quarter. Despite the decrease in deposits, Tesla beat Wall Street expectations by posting adjusted earnings of $US2.90 per share on $US6.8 billion in revenue. Analysts had expected adjusted earnings of -$US0.15 per share on revenue of $US6.315 billion. The automaker was also cash flow positive during the quarter, recording $US881 million in free cash flow. Tesla customers pay a $US2,500 deposit when they order a Model S sedan, Model X SUV, or Model 3 sedan. 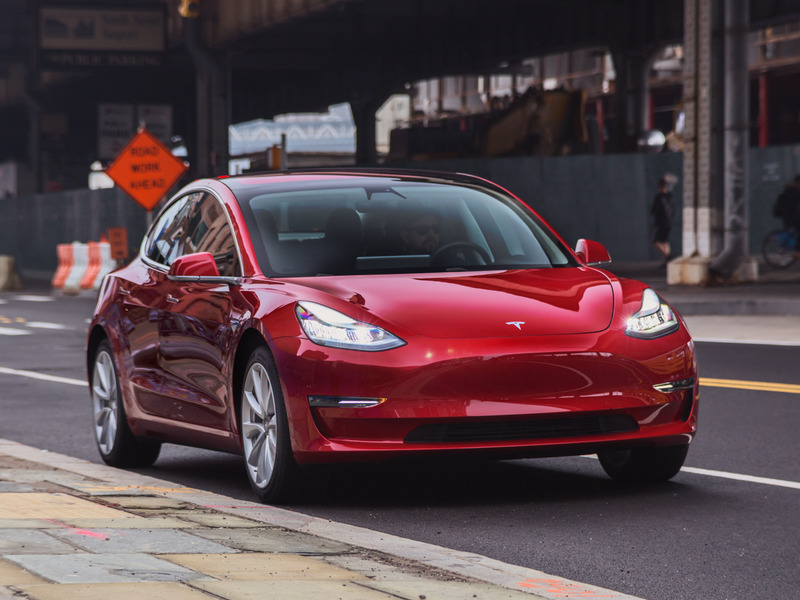 The automaker suggested a backlog in Model 3 orders from prior quarters may have compensated for the fall in deposits. Tesla said the Model 3 led all US vehicles in sales, in terms of revenue, and placed fifth in sales by volume during the third quarter. Tesla and Musk had positioned its third-quarter earnings as an inflection point. The automaker’s finances have been an area of concern throughout its 15-year history, as it has posted three profitable quarters and zero profitable years. Tesla and Musk had said the automaker would become consistently profitable starting in the third quarter of this year, part of the reason why so much scrutiny has been placed on Tesla’s ability to hit self-imposed production goals that Musk has said are vital to earning steady profits. In upcoming quarters, Tesla will be under pressure to prove that it can maintain profitability as it ramps up Model 3 production, introduces new vehicles, and builds a factory in Shanghai.